Employers have a responsibility to keep their staff safe and minimise the risk of accidents in the work place. Evaluate the risks of each hazard. What is the likelihood of harm and the severity? How effective are the procedures you already have in place? Do new safety measures need to be implemented? Implement new safety measures and action plans. Review them regularly to evaluate their effectiveness and make changes in line with regulations. If your employees will be operating forklift trucks in the work place, you need to adhere to work place health and safety requirements by having designated emergency routes, exists, traffic routes, danger areas, loading bays and ramps. Where possible you should segregate pedestrian and vehicle traffic routes. If this is not possible, warning signs must be present throughout the work place to alert staff of potential hazards. In order to meet the requirements of health and safety regulations, your forklift trucks should be inspected on a daily basis. Carrying out inspections can prevent fatal accidents. 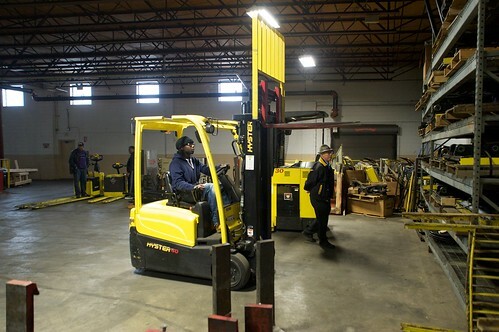 Your employees should check that the forklifts are suitable and safe to use. This is something they must learn to do in their forklift driver training in order to pass the assessment and get their licence. 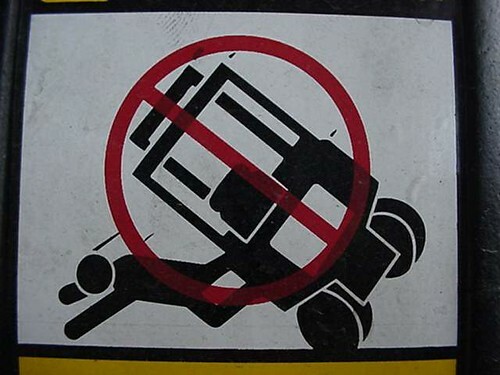 Employees should be educated on the risks associated with operating forklift trucks. Before letting employees operate your forklifts, you must check that they have a valid licence. Forklift driver training is essential as it can minimise the risk of fatal accidents in the work place. All forklift operators must hold a licence in order to abide with health and safety regulations. As well as investing in forklift truck training for operators, you must also provide the rest of your staff with health and safety training. This can minimise risks in the work place and lower the rate of accidents. Employees are required to co-operative actively with the preventative measures their employers implement. In order to meet the requirements of health and safety regulations, employers are required to regularly maintain their forklift trucks. Preventative maintenance can help to minimise the risk of accidents caused by forklifts. LOLER inspections are also required every twelve months. For more information about LOLER inspections or to book one, please get in touch with our sales team. As previously stated, providing forklift driver training is essential if you require your employees to operate your forklifts. Hiremech provide extensive forklift driver training, which can take place at our designated training centre in Tottenham, London or at your place of work. Our driving training programme is designed to teach your employees everything they need to know about operating forklifts. By the end of the programme they should be able to pass both their theory and practical assessments with flying colours. We also provide competitively priced maintenance contracts to both new and existing clients. Whether you require emergency breakdown assistance, preventative maintenance or a LOLER inspection, we are the team for the job. For more information, feel free to give us a call.